TEHRAN, Iran (AP) — Tens of thousands of Iranians took part in pro-government demonstrations in several cities across the country on Wednesday, state media reported, a move apparently seeking to calm nerves after a week of protests against the government and unrest that has killed at least 21 people. 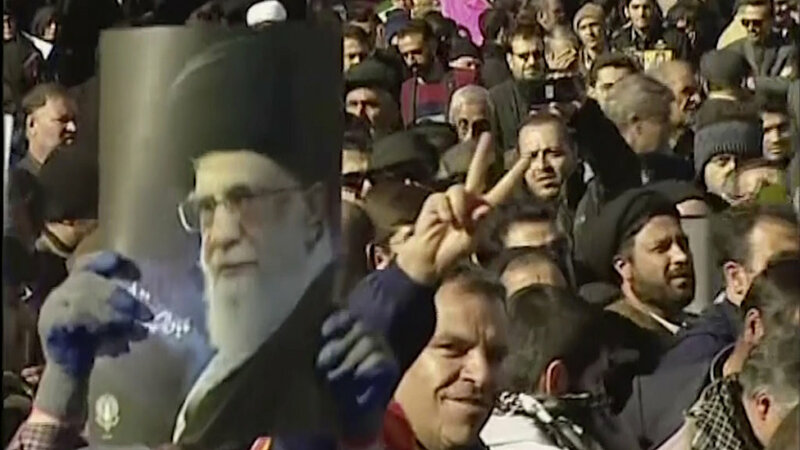 While the rallies showed support among Iran’s 80 million people for its clerically overseen government, smaller and smaller towns in the Iranian countryside appear to be experiencing the unrest that has already swept through urban areas, according to protesters’ online videos. Official and semi-official media did not immediately offer new details of the unrest Wednesday. Demonstrators’ videos corresponded with The Associated Press’ reporting from outside of Iran, though individual protesters themselves remain unreachable. The protests appear to remain leaderless. The protests, the largest seen in Iran since its disputed 2009 presidential election, began on Dec. 28 in Mashhad, Iran’s second-largest city and a bastion for hard-liners. 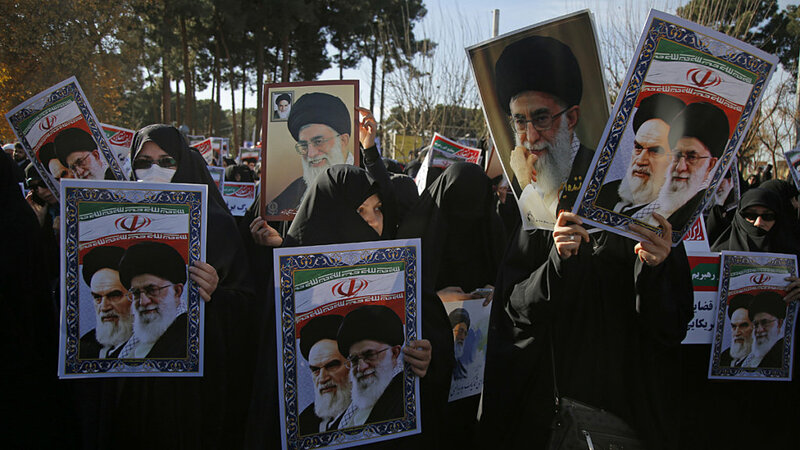 While initially focusing on Iran’s flagging economy and rising food prices, they’ve morphed into demands for wholesale change in Iran’s theocratic government. 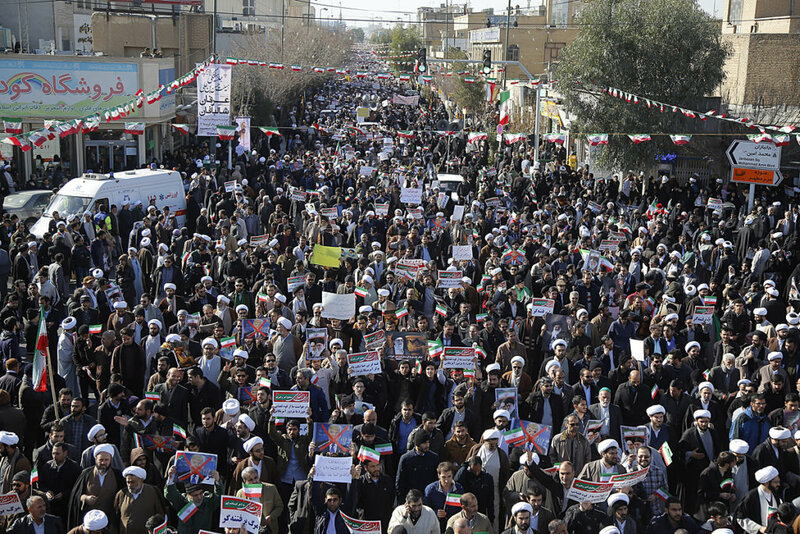 On Wednesday, state TV reported that pro-government demonstrations took place in dozens of cities and towns, including Ahvaz, the capital of the oil-rich province of Khuzestan; the Kurdish town of Kermanshah in the country’s west; and Qom, the religious capital of Shiite Islam in Iran. 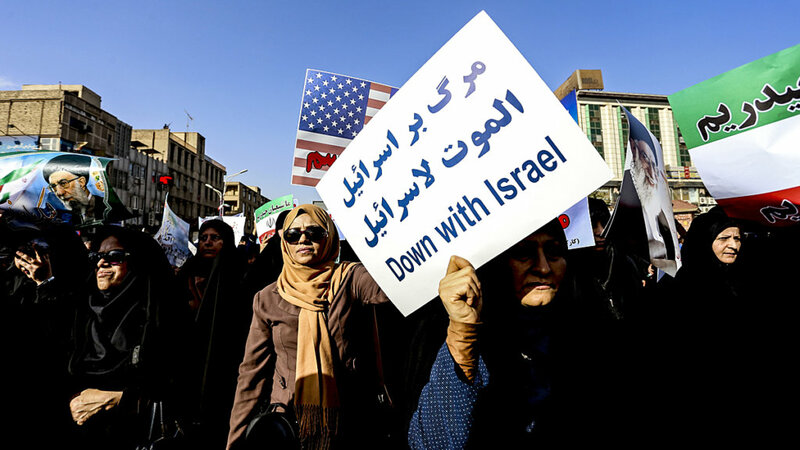 Demonstrators carried pre-printed signs and Iranian flags, with state TV offering a swooping helicopter shot in Ahvaz to show their scale. Ahvaz and the wider Khuzestan province is home to many ethnic Arabs and has seen unrest amid the protests. In Qom, state TV cameras focused on the Shiite clerics taking part, many wearing the black turbans identifying them as direct descendants of the Prophet Muhammad. Iran’s government has since shut down access to Telegram and the photo-sharing app Instagram, which now join Facebook and Twitter in being banned, in an attempt to slow the unrest. The head of Tehran’s Revolutionary Court has warned that arrested protesters could potentially face the death penalty. “Obviously one of their charges can be Moharebeh,” or waging war against God, Iran’s semi-official Tasnim news agency quoted Mousa Ghazanfarabadi as saying. Moharebeh is punishable by death in Iran. Later Wednesday, Turkish officials said Iran’s President Hassan Rouhani told his Turkish counterpart Recep Tayyip Erdogan that he hopes the protests that have hit Iran “will end in a couple of days.” Officials in Erdogan’s office said the two had a telephone conversation on Wednesday during which Erdogan stressed the importance of stability and calm. An activist video meanwhile showed unrest in Noor Abad, in Lorestan province, some 360 kilometers (225 miles) southwest of Tehran. Demonstrators in the video are seen coming to the aid of another protester, who appears seriously wounded. They later set fire to an ambulance in anger over what they describe as the local hospital’s refusal to treat their wounded.